Claimer.org: Climate change hitting insurance industry twice? U.S. courts to accept climate damage compensation? 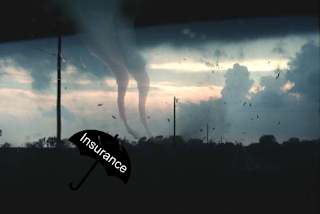 Climate change hitting insurance industry twice? U.S. courts to accept climate damage compensation? The insurance industry might be hit twice by climate change: first by climate change damages and second by an increasing number of climate damage litigation cases. This is the key message of a recent article which is based on a report published in September 2011 by a coalition of investors and environmental groups “Ceres”. “Insurers could be sued both by emitters that are trying to pass on liability, or by investors claiming they did not adequately disclose risks to the market”, says the article and refers to a study of Deutsche Bank according to which there were more than 132 climate-related lawsuits in the U.S. In 2010. Ceres and the article claim that the reinsurance world market co-leader Swiss Re tries to convince its U.S. business partners to take a more proactive approach – with little success so far. Only 11 out of 88 U.S. insurance companies investigated had climate change policies. Ceres recognizes that it is today difficult for plaintiffs to win climate damage compensation cases. Besides the issue of causality, the “political question doctrine” is regarded as an obstacle by U.S. courts. But the courts might change their view if Congress holds back the EPA from further engaging against climate change. If this happens, the political question doctrine would not apply anymore. Furthermore, the article refers to the past battles on asbestos and tobacco. Decades of legal fighting preceded the settlement and $265 billion pay-outs on asbestos, compared to which climate change litigation progresses pretty fast nowadays. At the end of the day, no causality proof was requested by courts ruling on tobacco damage compensation: liability arose from the fact that companies suppressed evidence on risk.